Update your classic white pearl earrings with this colorful pair! 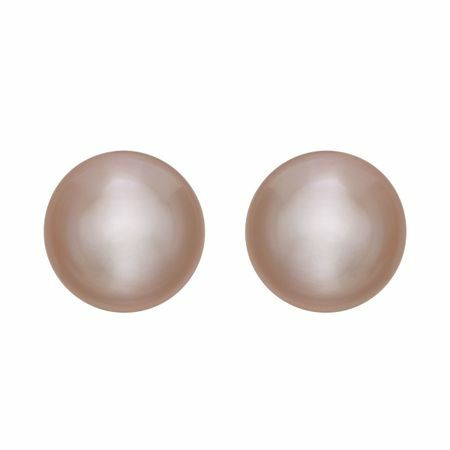 9-10 mm rose-colored freshwater pearls are set atop sterling silver posts for a playful-yet-polished look. Earrings measure 5/16 by 5/16 inches.